How grotty is that weather? We went out to go swimming and came home soggier than we were in the pool cos of the rain. So if you are stuck indoors like us, here are 3 cool things to do for free in your house. 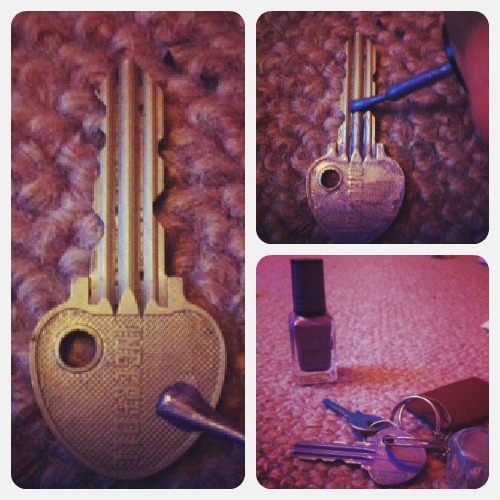 We got this idea from A Thrifty Mrs. All you need is your house or locker key, and some nail varnish. Paint keys, let it dry, admire. Thanks to El’s best friend for lending her the nail polish. El has her own she just didn’t have that colour and couldn’t be bothered to get it herself. This is a popular game with parents, because it keeps kids active and their mum or dad gets to have a little lie down. All you need to play this game is a balloon, two kids and a double bed or maybe a sofa. Kids bat the balloon to each other with their hands. Parent lies on the bed or sofa and keeps score. That’s all there is to it. (Try it, it’s better than it sounds). To play this game, you will need to cut out a moustache-shaped piece of paper. You will also need a tiny little bit of Blu Tack. Then, watch a DVD. When you get a full face shot of an actor looking particularly morose, pause the DVD. 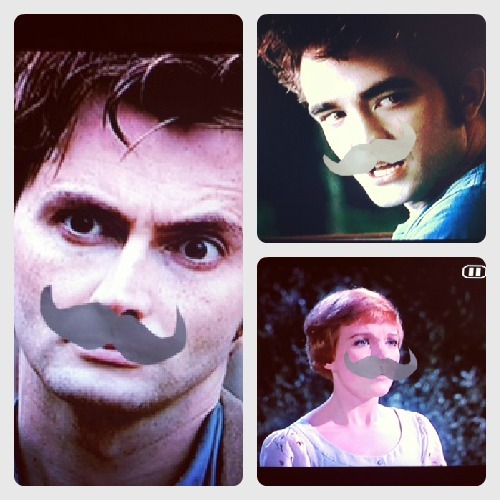 Then stick the moustache on the actor and have a good laugh about it. And that’s all there is to TV moustache. June 7, 2012. Tags: activities, free, moustache, school holidays. Funnies, Top Tips.